Experience cuisine from nearby Pismo Beach restaurants that simply cannot be beaten. Offering distinctive flavorful plates and one-of-a-kind atmospheres, restaurants in Pismo Beach offer unparalleled dining experiences. Choose from family-friendly restaurants to the most romantic dining the Central Coast has to offer. If you're looking to savor some of the best local produce, head to the Pismo Beach Farmers Market, every Wednesday at 3:00 pm, or the renowned San Luis Obispo Farmers Market, every Thursday at 6:00 pm. Enjoy flavors from across the world without ever having to leave sunny California when you stay at Inn at the Cove, conveniently located near some of the most highly-regarded venues for excellent Pismo Beach and Central Coast dining. Famous California wineries are located just a short distance away from Inn at the Cove, allowing you to taste your way through California’s central coast. With over 20 tasting rooms within 15 minutes of downtown Pismo and an endless array of wineries in the nearby area, you’re sure to find a pairing for every palate—whether you’re looking for a delightful Chardonnay to bring back home or are looking to pair your flavorful dinner with one of California’s iconic wines. 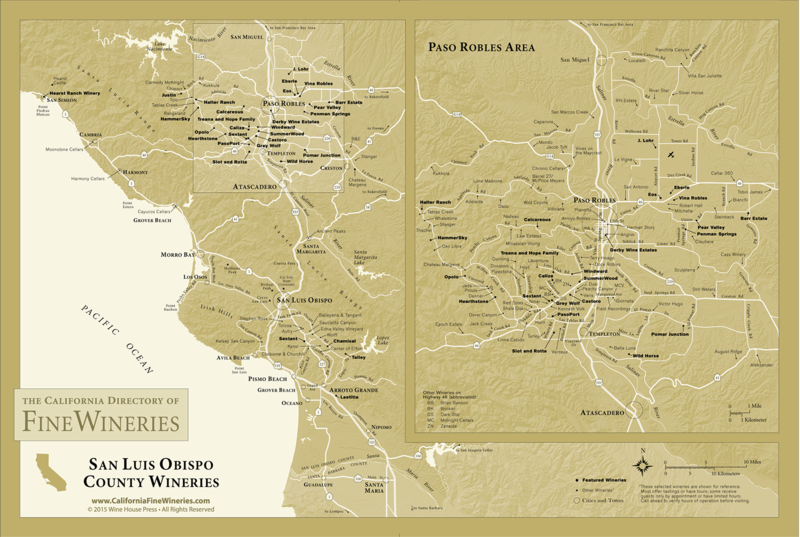 Click here for a county-wide area map of nearby wineries courtesy of the California Directory of Fine Wineries and start planning your adventure. To give you even more options, consider driving just a short way north to visit Paso Robles and immerse yourself in one of the country's most renowned wine regions. Or, leave the driving to the experts and book a wine tour with Breakaway Tours, who offer everything from private wine tours and picnic lunches to corporate outings and educational seminars. After sampling California’s distinctive wines, retreat back to your Pismo Beach lodging with a private balcony or patio to enjoy a picturesque sunset over the Pacific. If you are looking to venture out into a different type of tasting experience, consider visiting one of the many breweries or hard cider producers located on the Central Coast. The many craft breweries and tours offered are a great way to enjoy some local beer and learn more about the intricate beer-making process. The many vineyards and orchards located on the Central Coast have also become home to producers of hard cider, a completely new and unique tasting experience to enjoy. Plan your itinerary with the options below or contact Hop On Beer Tours, a service which offers private and social tours of wineries, breweries, and distilleries, as well as tastings at cider producers, to design your perfect tasting experience.